There are some wonderful resources out there that make a perfect companion this this course, or any of the music courses here at Learn.MusicinOurHomeschool.com. Here are some of my favorites. 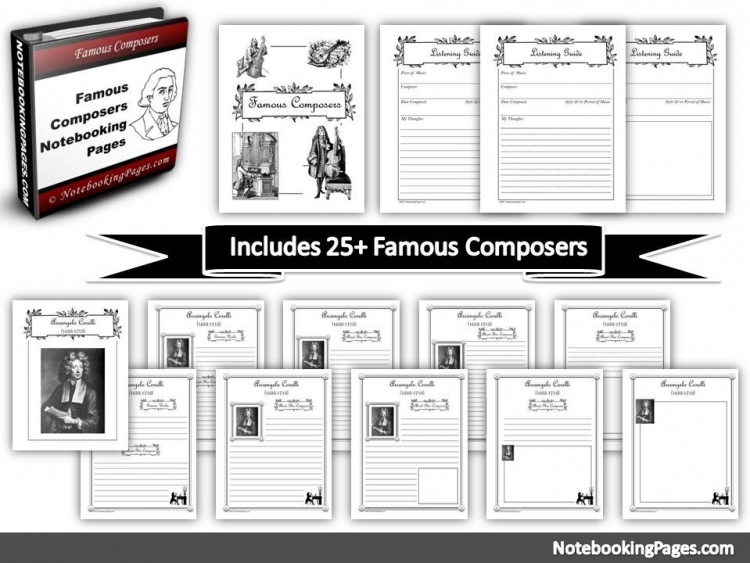 To get specific composer notebooking pages, I recommend these from NotebookingPages.com. 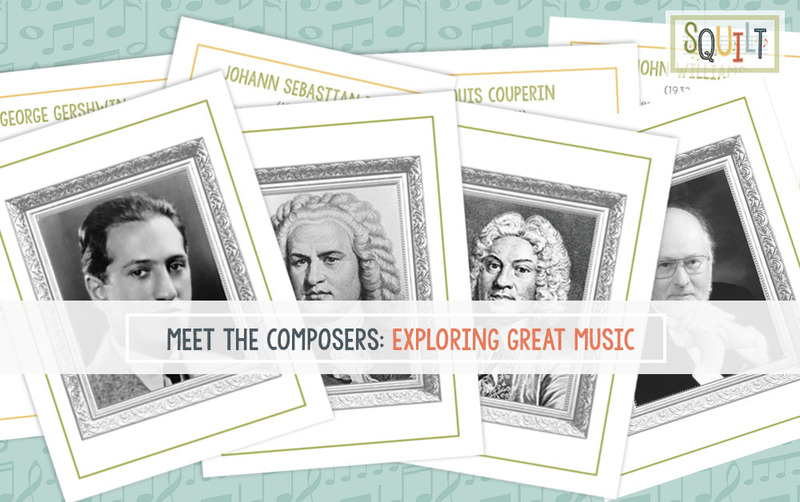 I love the beautiful composer flashcards (with pictures of the composers) from SQUILT.